Sim Recharge Offers in Bangladesh. With the increase of technology people getting more dependent on its blessings tend to make things easier. Mobile phone wasn't this available as nowadays before 20 years ago. 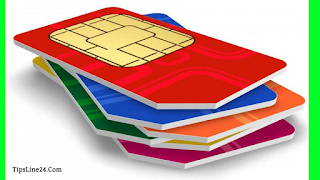 Sim operators became more strategic spreading their business in today's cellphone user flood. Bangladesh is currently holding 5 leading sim operators. In this article we are about to focus on their "Recharge Offers" of this very 2017. By recharging Taka 29 you will get 1 paisa per second to any operator and 3 free sms. Validity is 3 days. By recharging Taka 39 you will get 1 paisa per second to any operator , 39 mb internet and 3 free sms. Validity is 3 days for internet and 5 days for others. By recharging Taka 24 you will get 75 free minutes gp to gp . Validity is 3 days. By recharging Taka 149 you will get 500 mb internet. Validity is 28 days. By recharging Taka 337 you will get 2 GB internet. Validity is 28 days. By recharging Taka 12 you will get 30 mb internet. Validity is 3 days. By recharging taka 129 you will get 2 GB for 7 days. By recharging taka 3 you will get 5MB for 2taka (1day). By recharging taka 11 you will get 20 MB for 8taka (1day). By recharging taka 244 you will get 1GB for 200 taka (30days). By recharging taka 366 you will get 2GB for 300 taka(30days) .